Welcome to Motrics! Motion tricks in Ironless DC micromotors, gearmotors and custom designs. Established since 2006 in La Chaux de Fonds, Switzerland, Motrics is a producer and distributor of drive solutions in the low to medium power range (generally less than 100 Watts). We specialise in custom designed solutions based on Ironless DC motors and gearmotors, such as those proposed in our catalogue, but also work with other motor and gear technologies. C.I. Kasei Co., Ltd is a world leader in coreless DC motor design and manufacture. The C.I. Kasei group started its motor division in 1988 and has been growing ever since by addressing and satisfying an increasing number of demanding markets. We work together since 2004. Established originally as a watch part manufacturer in the 1940s, Shinkosha Co., Ltd is a producer of various technologies of gearboxes, and gear parts. It is a major player in the extensive micromotor industry in Japan, supplying components and assemblies to industries such as micromotor manufacturers, the servomotor and camera industrys. We work together since 2007. 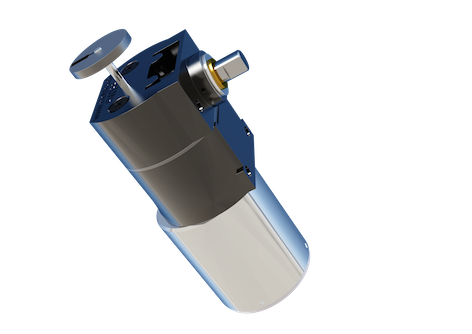 Motrics was created by engineers with over 25 years of experience in the DC micromotor and gearmotor world. By working closely with the engineering staff of C.I. Kasei, Shinkosha, our other partners and, above all, our customers, we strive to provide reliable technical solutions combined with strong technical support and a commercial package which will place us as leader in our market. Motrics is a drive solutions provider. What we cannot find in our partners' ranges, we propose to develop in-house. What the customer needs is what we will develop, no less. We look for strategic long term partners, who recognise the need for win-win relationships for their own business, and we aim to provide them with solutions which exceed expectancies in Performance, Quality, and Cost. Our name Motrics comes from "Motion tricks". Internal competence and knowledge, the "tricks of the trade" are of primary importance to the future of our Company and the success of our customers' products. Our slogan is "just motion stuff". Quite simply it's what we like to do most. La Chaux-de-Fonds is in the heart of Western Europe. Our focus is on the European market with our main activity in Switzerland, France and Germany. Having already worked with the aerospace industry, the sky is not the limit. However, most of our applications are terrestrial, as are those of our partners. Our solutions are found in the watch-making industry, the Camera Industry, Industrial equipment, laboratory and measurement instruments, Medical diagnostics and drug delivery systems, security and access devices, Industrial handtools, ATMs, office equipment, rc devices ( model airplanes and helicopters), PDAs. Motrics works closely with a number of Companies around the world to provide the optimal choice of solution to our customers. We could consider these Companies as suppliers but partner lends more to describe the relationship we have developed over the years.